“Արգոնավորդներ” պոեմում, Մեդեան՝ Էյեթոսի կրտսեր դուստրն էր, Հեկատե աստվածուհու սպասարկող ամենազոր կախարդն էր։ Նա որպես օգնություն էր ուղարկված Յասոնին աստվածուհիներ՝ Հերայի, Ափրոդիտեի և Աթենասի կողմից։ Մեդեան Հեկատեի օգնությամբ մի կախարդական յուղ է պատրաստում և տալիս Յասոնին. Հեկատեի մի շարք բանաստեղծական կոչումներ և մականուններ. ↑ Hesiod Θεογονία — 0700. ↑ Sarah Iles Johnston, Hekate Soteira, Scholars Press, 1990. ↑ Berg 1974, p. 129. ↑ At least in the case of Hesiod's use, see Clay Jenny Strauss (2003)։ Hesiod's Cosmos։ Cambridge: Cambridge University Press։ էջ 135։ ISBN 0-521-82392-7 Clay lists a number of researchers who have advanced some variant of the association between Hecate's name and will (e.g. Walcot (1958), Neitzel (1975), Derossi (1975)). 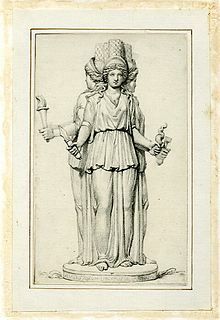 The researcher is led to identify "the name and function of Hecate as the one 'by whose will' prayers are accomplished and fulfilled." This interpretation also appears in Liddell-Scott, A Greek English Lexicon, in the entry for Hecate, which is glossed as "lit. 'she who works her will'"
↑ Lewis Richard Farnell, (1896). 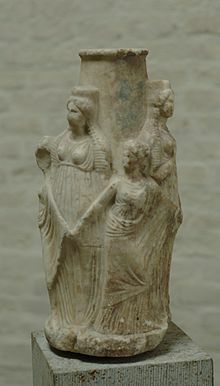 "Hecate in Art", The Cults of the Greek States. Oxford University Press, Oxford. ↑ Yves Bonnefoy, Wendy Doniger, Roman and European Mythologies, University of Chicago Press, 1992, p. 195. ↑ "The legend of the Argonauts is among the earliest known to the Greeks, " observes Peter Green, The Argonautika, 2007, Introduction, p. 21. ↑ Walter Burkert, (1987) Greek Religion: Archaic and Classical, p. 171. Oxford, Blackwell. ISBN 0-631-15624-0. ↑ Joseph Eddy Fontenrose, Python: A Study of Delphic Myth and Its Origins, Biblo & Tannen Publishers, 1974, p. 96. ↑ Alberta Mildred Franklin, The Lupercalia, Columbia University, 1921, p. 68. ↑ Jon D. Mikalson, Athenian Popular Religion, UNC Press, 1987, p. 76. ↑ Sarah Iles Johnston, Restless Dead: Encounters Between the Living and the Dead in Ancient Greece, University of California Press, 1999, pp. 208-209. ↑ 21,0 21,1 21,2 21,3 21,4 21,5 Liddell-Scott, A Greek-English Lexicon. ↑ Sarah Iles Johnston, Restless Dead: Encounters Between the Living and the Dead in Ancient Greece, University of California Press, 1999, p. 207. ↑ Varner, Gary R. (2007). Creatures in the Mist: Little People, Wild Men and Spirit Beings Around the World: A Study in Comparative Mythology, p. 135. New York: Algora Publishing. ISBN 0-87586-546-1. ↑ Yves Bonnefoy, Wendy Doniger, Roman and European Mythologies, University of Chicago Press, 1992, p. 195; "Hecate" article, Encyclopædia Britannica, 1823. ↑ Matthew Suffness (Ed. ), Taxol: Science and Applications, CRC Press, 1995, p. 28. ↑ Robert Graves, The Greek Myths, Penguin Books, 1977, p. 154. Геката // Энциклопедический словарь Брокгауза и Ефрона։ В 86 томах (82 т. и 4 доп.). — СПб., 1890—1907. Н.А. КУН "ЛЕГЕНДЫ И МИФЫ ДРЕВНЕЙ ГРЕЦИИ"